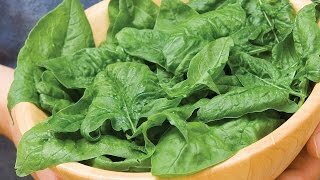 Spinach is one of the few vegetables with beets and chard that prefers a neutral to alkaline soil (pH 7.0 or above). Spinach is a cool season crop, developing at its best when growth is quick and continuous. Provide full sun, cool nights and plentiful water supply. A nice composed salad with balanced color and flavor. Delicious souffle with only 5 ingredients.